LouElla, a bottle shop and bar, is expected to open up in February next to Hutchin’s Garage off Geer Street. They’ll offer a curated wine, craft beer, and fortified selections from family operated producers. Where did the name LouElla coming from? The business takes its name and mission and proprietor Campbell Davis’s Great Aunt LouElla, who was much beloved for her warmth, hospitality and generous spirit. Cam says it’s his mission to share LouElla’s hospitality with the community. For Cam Davis, LouElla is the culmination of more than 20 years of experience in the hospitality and beverage industry. 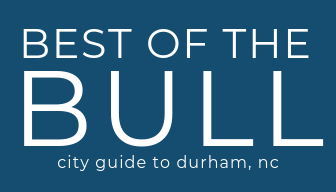 Cam has successfully managed some of Durham’s finest locally and nationally recognized establishments, including Hutchin’s Garage, Guglhupf, Rue Clear, and Durham Catering Company. He brings a wealth of wine and beverage knowledge, not only from his extensive restaurant experience, but also from his tenure as the Durham and Chapel Hill area Sales Manager for wine distributor Bordeaux, Fine and Rare. We’re excited to see him open his own space now. We’ll keep you up to date on the progress and an official opening date. You can connect with LouElla on Instagram, and Facebook.